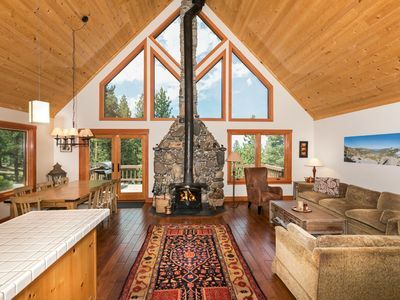 Capture the essence of Truckee from this charming vacation rental nestled in a pristine mountain setting! 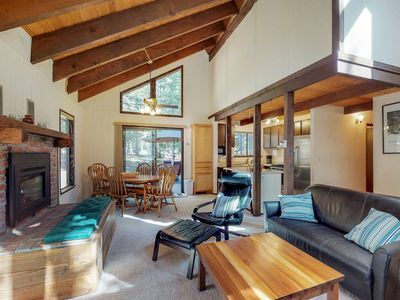 This 3-bedroom, 2.5 bathroom property is well-appointed with sleeping arrangements for 6, all the luxuries of home, and a private outdoor oasis with majestic mountain vistas. 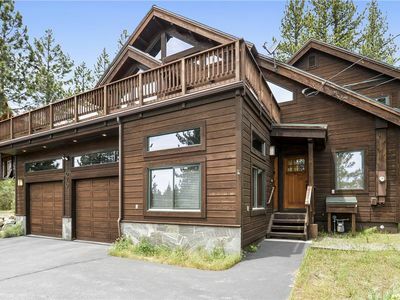 Spend your days golfing at Grays Crossing Golf Course, skiing at Lake Tahoe, or pursuing aquatic adventures at Prosser Dam Reservoir or Donner Lake - all just minutes away from your home-away-from-home! 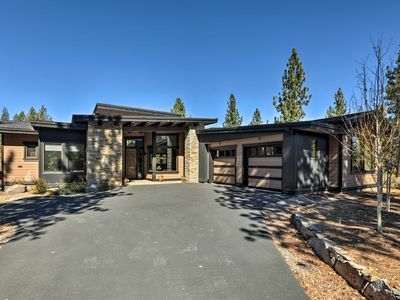 Cruise through the tree-dappled streets of Truckee to discover this stunning single-story property perched on the 7th hole of Grays Crossing Golf Course. 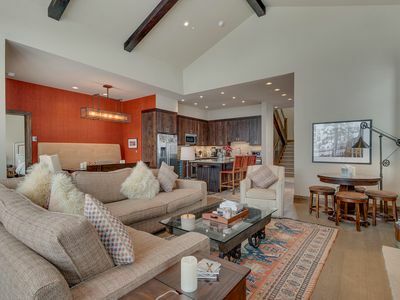 Boasting 2,400 square feet of elegantly ornamented living space, this mountain reprieve is highlighted by hardwood floors, upscale furnishings and a wealth of windows revealing golf course views. 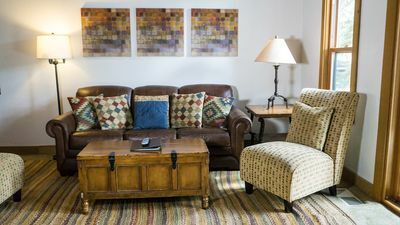 When you’re not out and about, sprawl out on the sumptuous sofas in the great room and unwind with a movie on the 75-inch flat-screen cable TV. 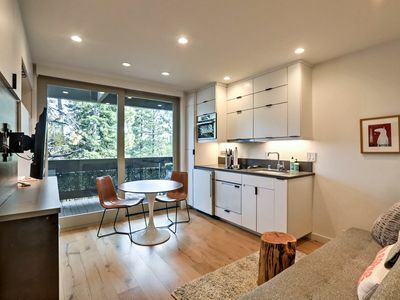 Your holiday cuisine deserves a gourmet kitchen complete with stainless steel appliances, a fashionable tile backsplash, quartzite countertops, and a large kitchen island. Barbecue masters can put their skills to the test outside on the gas grill. Savor you meals at the dining room table or dine al fresco on the private deck overlooking the beautifully manicured golf course. 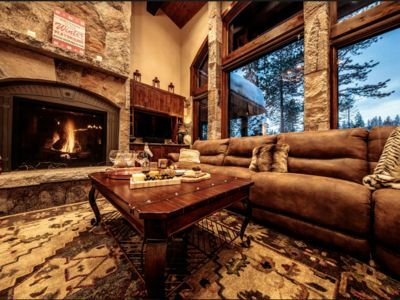 After dinner, kick back and relax on the plush patio furniture and enjoy the pristine alpine air. 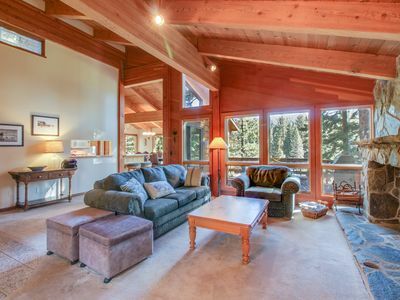 When it's time to retire from the day, retreat to one of the 3 bedrooms for restful slumbers! 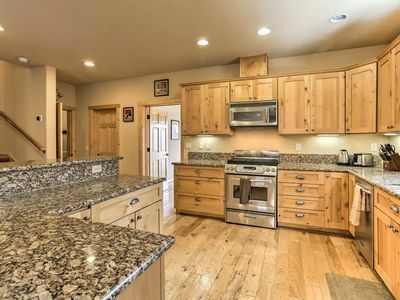 When you’re not relaxing at your cozy mountain reprieve, Prosser Dam Reservoir is just 1 mile away for fishing, kayaking, swimming, canoeing, and more. 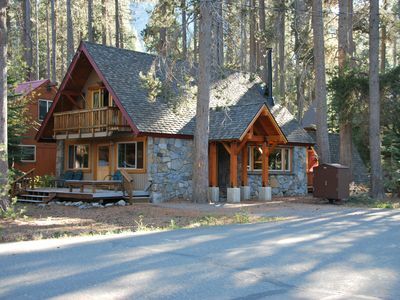 For additional aquatic adventures, head to Truckee River for white water rafting and fly fishing. 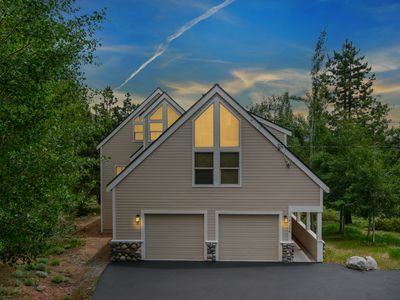 Golf enthusiasts will love the proximity to Grays Crossing Golf Course just 1/4 mile away! Hit the links at this challenging 18-hole course and afterwards, replenish your group with a meal at PJ’s Grill. 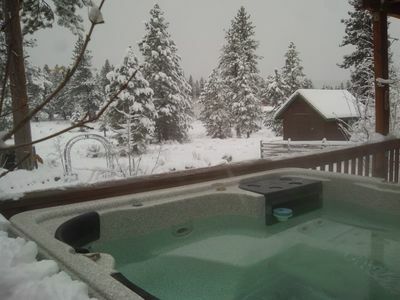 Lake Tahoe and Donner Lake are a short drive away for skiing adventures! 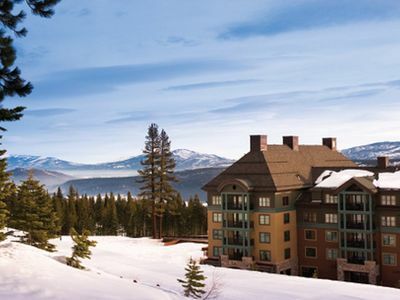 Apres ski, walk around these charming ski towns lined with boutiques, cafes, and restaurants! 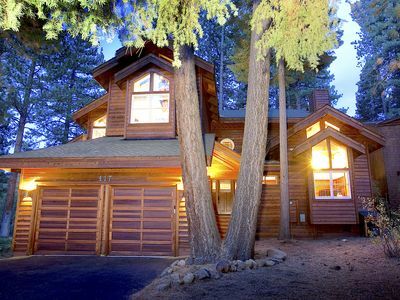 In the summer months, Lake Tahoe and Donner Lake become a hub for hiking, boating, fishing, and other water sports! 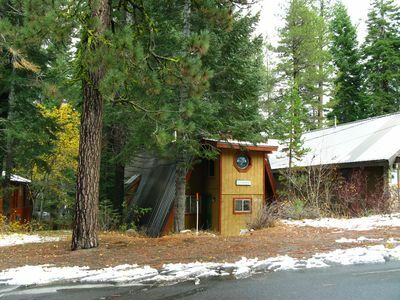 Keep up your fitness at the Truckee Rec Center just 1 mile away with a gym and an indoor pool for a nominal fee! 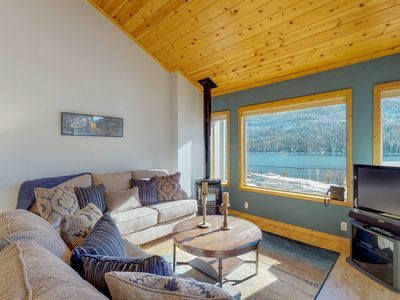 - Amenities include a fully equipped kitchen, free WiFi, 2 flat-screen cable TVs, gas fireplace, furnished deck, gas grill, and much more! 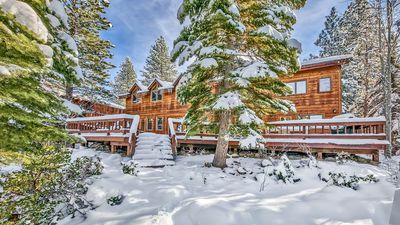 - Prime Truckee location on Grays Crossing Golf Course, 1 mile from Prosser Dam Reservoir and a short drive from Lake Tahoe and Donner Lake! 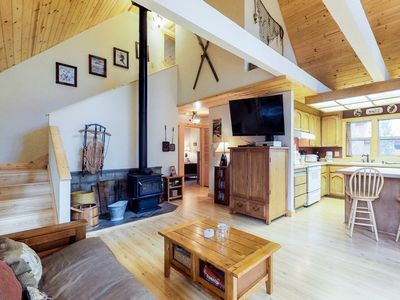 Cozy Cabin with all amenities. 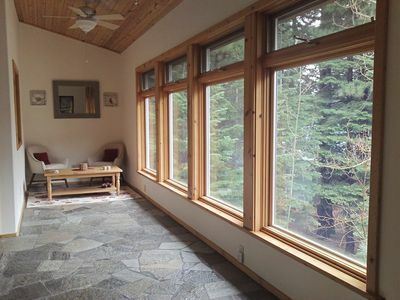 Dog-friendly alpine home, w/ private hot tub, shared pool & tennis! 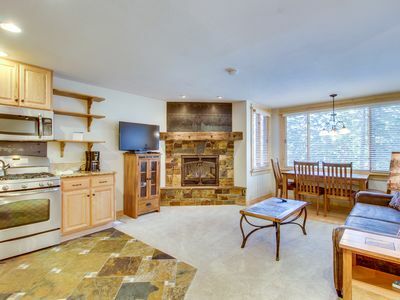 Ski condo with shuttle access & shared sauna, hot tub, pool, and rec center!